After less than a year of forming his second cabinet in 18 December 2016, the first in President Aoun’s term, Prime Minister Saad Hariri of Lebanon announced his resignation from his post in a televised statement from Saudi Arabia. Hariri blamed Iran for interference in Arab affairs and throwing Lebanon into deeper uncertainty. The surprise announcement was in direct connection with escalating regional rivalry between Saudi Arabia and Iran, and its came as a surprise to his opponents, allies, as well as his own political movement. November 13, 2016 Hezbollah preceded the formation of the cabinet with a provoking military parade in the Syrian city of Al Qusayr. April 20, 2017 Hezbollah organized a tour for local and international journalists to the Lebanese-Israeli border, showing off its military capabilities and preparations for any potential war, within the UNIFIL operation zone, in a clear violation of UNSC resolution 1701. June 24, 2017 Hezbollah’s leader Nasrallah declared that in any future confrontation with Israel the borders of Lebanon will be opened to introduce “hundreds of thousands of Muslim fighters” willing to participate in the fight in a complete disregard of Lebanon’s sovereignty and official constitutional institutions. July 22, 2017 Kuwait Ambassador in Lebanon officially delivered a protest to the Lebanese Foreign Ministry, urging it to assume its responsibilities towards “irresponsible practices by Hezbollah, a component of the government” with regards to the huge terrorism plots by what came to be known as the “Abdali Cell” and that the investigations and court decisions linked it directly to Hezbollah. Kuwait presents an official complain to the Lebanese Foreign Ministry. The Lebanese government did not do anything to deal with this issue. September 4, 2017 The problem surfaced clearly after Hezbollah stroke a deal with ISIS allowing hundreds of ISIS fighters and their families to leave the Lebanese-Syrian border in air-conditioned buses towards IS-held areas near the Syrian-Iraqi border hijacking the Lebanese army’s military victory against ISIS and other Islamist militias in the Bekaa region. October 23, 2017 Rouhani said in a speech in Tehran that Iran’s position in the Middle East had never been stronger and that no decisions can be taken in the Lebanon, Middle East and the Gulf without taking Iran’s decisions into account. MP Hariri had to respond the next day showing growing tensions. 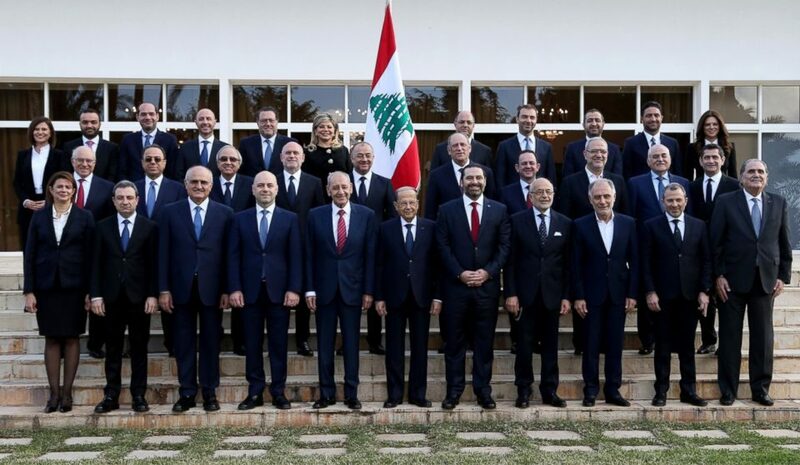 All the above led the four ministers of the Lebanese Forces Party (LFP) to threaten repetitively in the last months that they will resign if things are not significantly adjusted. Rumors also were heard more loudly about Hariri’s resignation, but he continuously denied it and continued to take on the fire ball and try to arrange things. 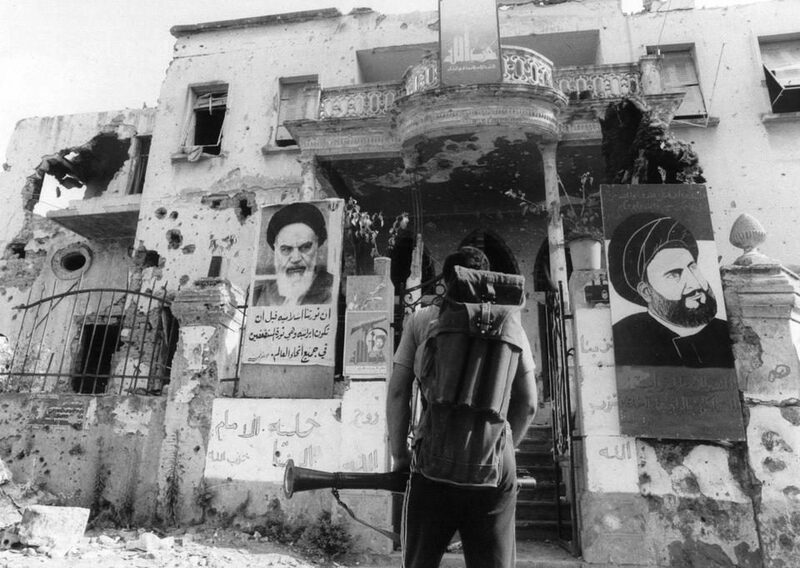 However, Hezbollah and its internal and external allies kept pushing further to fully count Lebanon into the “Resistance Axis” along with Iran, and Assad’s regime. November 3, 2017 the cherry on top of the long series of insults and demeaning practices of Hezbollah & Iran towards Lebanon’s sovereignty came with the visit of Ali Akbar Wilayati the high advisor of Khamenei for Foreign Affairs to Lebanon. 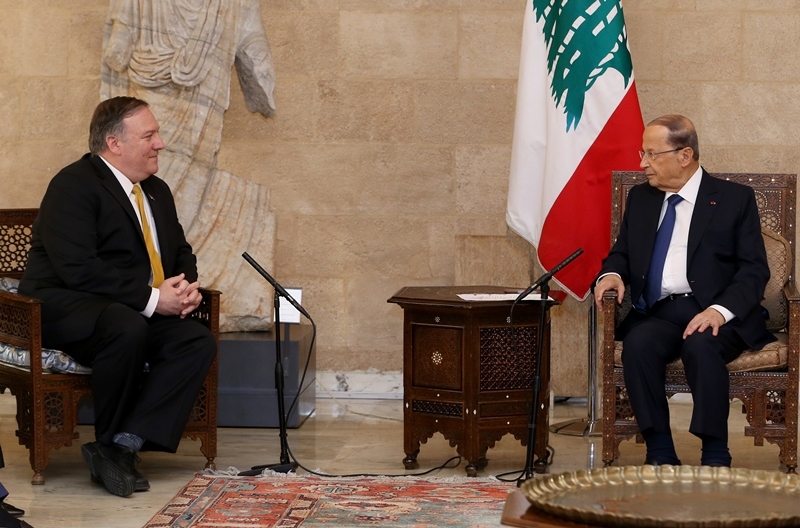 Upon his visit to the Prime Ministry, Wilayati stated what was clearly understood as classifying Lebanon as integral part of the “Resistance Axis” and that Iran “supports and protects” Lebanon. Less than twenty-four hours after this meeting, Hariri took a plane to KSA where he announced his resignation. The resignation sparked a wide range of controversies and wild interpretations notably that it coincided with staggering events in KSA that included the arrest of more than 11 princes and 40 high ranking officials. After more than a week of almost complete silence and a limited number of meetings including a visit to Abu Dhabi and a meeting with Shiekh Mohamad Bin Zayed, Hariri finally came out with a live interview on the evening of November 12 to clarify his position, his situation and his future political plans. 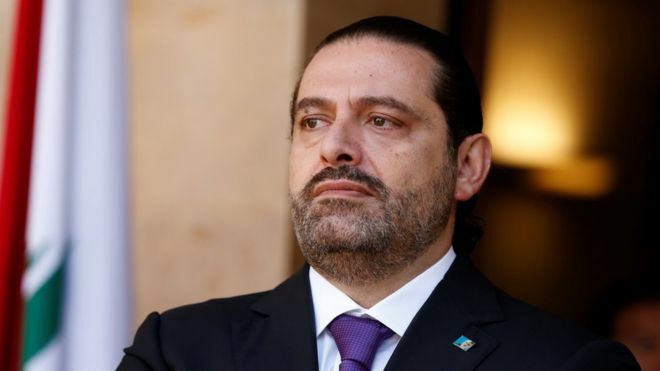 It is clear that Hariri’s resignation had been pushed for by his Saudi allies who got fed up with a Lebanese government that cannot control Hezbollah and his aggressive actions against different Arab countries including Iraq, Bahrain, KSA and Yemen. The resignation came after growing talks about joint US-Saudi efforts to counter Iranian influence, which includes new American sanctions against Hezbollah. The two visits that Hariri did to KSA in a week and the announcement of his resignation from the Kingdom project the Saudi pressure on the Lebanese Sunni leader to deliver on his promises that his presidential compromise and his government will consolidate Lebanon’s disassociation policy. The resignation statement and the interview clarified that Hariri is holding on to “disassociation” and without a clear commitment to it from all parties, and specifically Hezbollah, the resignation stands and the formation of any new government seems difficult. Furthermore, President Aoun is in a very critical situation with the failure of his first cabinet to bring stability and any significant improvements after long being awaited and after very high hopes. President Aoun cannot afford to lose his partnership with the main Sunni leader. 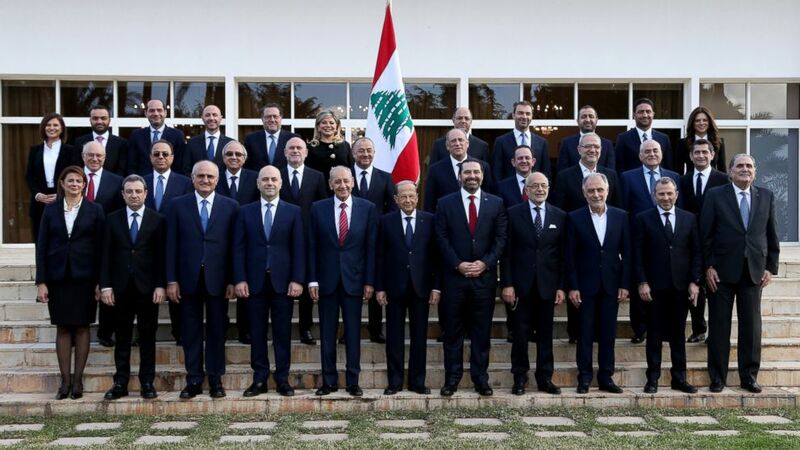 The formation of a new pro-Hezbollah government in Lebanon would probably lead to an increase the US-Saudi sanctions on Hezbollah which will affect the Lebanese state as a whole a seriously damage Aoun’s Presidential term. 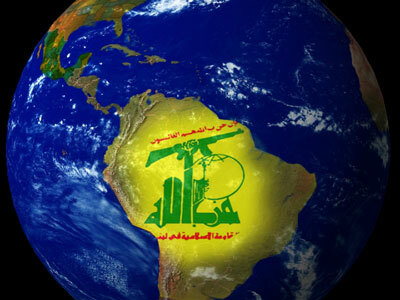 It will also increase the chances of an Israeli-Hezbollah war in which Tel Aviv will consider the whole Lebanese state and its institutions as an enemy given that the government is pro-Hezbollah. Thus, a renegotiation of the agreement with Hariri and a more balanced political position seems to be the only way forward for Aoun if he wishes to save his legacy. 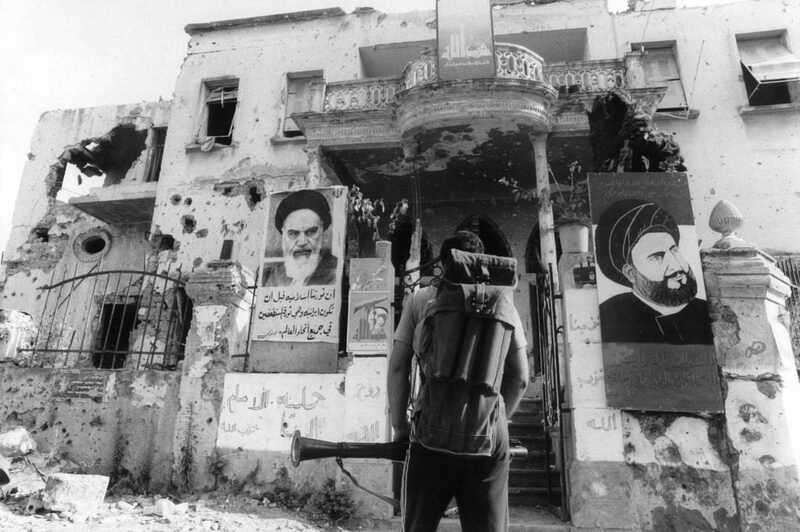 On the Lebanese internal level, it is much difficult for Hezbollah to repeat the scenario of May 7, 2008 by a military action against the Future Movement in Beirut and other regions. The Saudi’s threatening to act military against Hezbollah would diminish the possibility of a military act by Hezbollah. Hariri’s move will mobilize the anti-Hezbolah and anti-Iranian powers and strengthen their position before the next parliamentarian elections scheduled in May 2018. The Saudis will probably try to push Hariri and other Sunni leaders (mainly Rifi) to reconcile and work together against Hezbollah and its allies. While the Syrian situation heads towards de-escalation with a stage where President Bashar Al Assad’s regime appears likely to survive, Riyadh and its regional allies are seeking to compensate for the loss of Syria in regaining foothold in Lebanon or at least pushing it to a more neutral position. In conclusion, Lebanon’s politics seems to have crossed a certain benchmark after the resignation, the new high ceiling set by Hariri (whether he returns quickly or remain outside Lebanon for a longer time), and the rejuvenation of the anti-Hezbollah movement led by the Lebanese Forces, the Future Movement and others will put all the different parties in front of their responsibilities. President Aoun must choose how will he deal with the new reality and how will he manage to save his presidential term. Hezbollah must decide if it wants to continue to have relative stability in Lebanon, which entails a certain level of compromise that it doesn’t seem to be wishing to give in such a moment of excess of power in the region. If Hezbollah does not give in at least partially to protect this stability, Lebanon will be facing a long period of instability and hard times. A long governmental void will be very damaging to Lebanon’s economy and may even threaten its stability. A pro-Hezbollah government will be even more damaging on Lebanon enticing international and Arab sanctions and much bigger risk of internal instability and involvement in regional confrontations. Lebanon as usual presents continuous predicaments and the situation remains unpredictable, although the visibility of Lebanon’s future path will start to increase in the coming weeks.